2017 has been a good year for Richmond in many ways, some of which are described in the 2017 Year End Review and Predictions for 2018 (Will Richmond be Keen in 2018?). Click here for your copy. Richmond finished 2017 with the lowest unemployment rate on record -- perhaps since WWII -- an astonishing fact for a city that has been plagued with relatively high unemployment for decades. Richmond also ended 2017 with the second lowest number of homicides (fifteen) since 1986, the earliest year for which records are available. The lowest year was 2014 with eleven homicides, but the trend is clearly in the right direction, descending from a peak of 47 just ten years ago in 2007. 2018 will be a pivotal year for Richmond, with three City Council seats (Beckles, Martinez and Recinos) and the mayor’s seat up for grabs, ongoing litigation involving potentially tens of millions of dollars with Chevron over the 2012 fire and with Upstream over Point Molate, the initiation of ferry service, a vote on the annexation of North Richmond and a ballot measure in June (Kids First) that could drain as much as $4 million a year out of the City treasury. 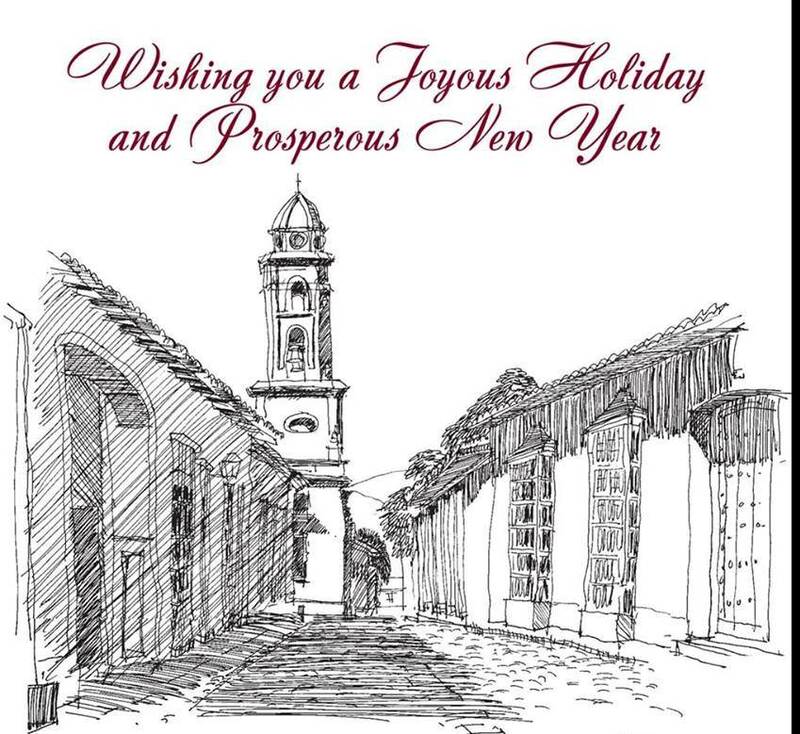 The card below features a sketch I did in Trinidad, Cuba four years ago.